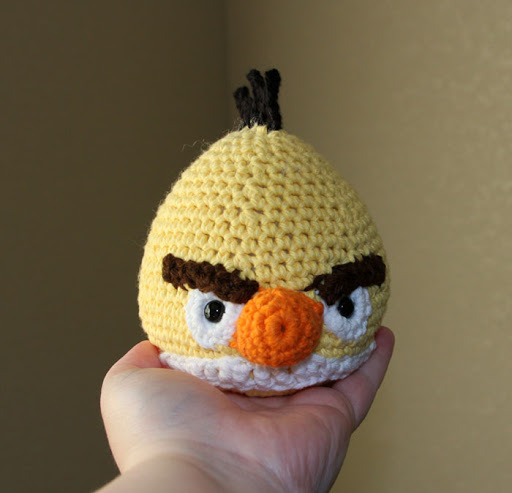 On Wednesday, I started and finished this Angry Birds Finch for my little guy. He’s been having a difficult time adjusting to his father’s new class schedule, so I wanted to do something nice for him. He’s been super excited and the first couple of mornings, I woke up to Angry Birds battles in my bedroom. Now, he wants even more birds and more piggies to vanquish. He’ll get them…in time. The pattern designer has a full pattern line of the Birds now. I would highly recommend these; they’re very well written and clear.